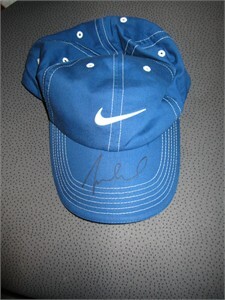 Blue Nike golf cap or hat autographed on the bill by LPGA superstar and 2014 U.S. Women's Open winner Michelle Wie. 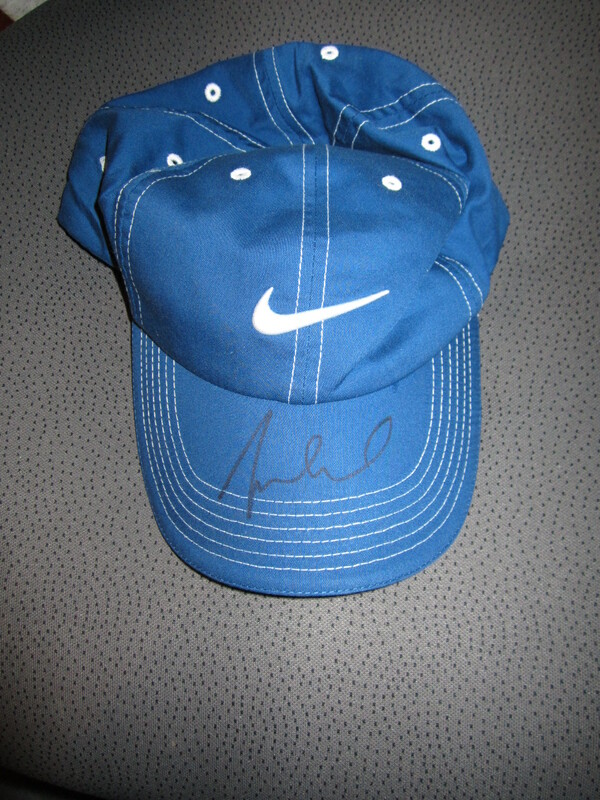 Obtained in person at Southern California LPGA event, with certificate of authenticity from AutographsForSale.com. ONLY 2 AVAILABLE FOR SALE.